In 1861, Texas and 101 other Southern states withdrew from the United States. 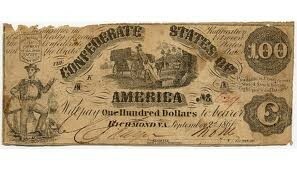 They formed the Confederate States of America. Their decision came after many years of differences between the North and the South. The two regions of the country disagreed on many issues. 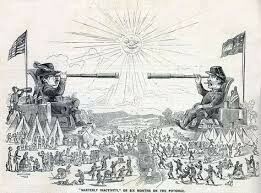 These issues included tariffs, sectionalism, and states' rights. Sectionalism is the loyalty to the interests of your own region or section of the country over the nation as a whole. States' rights was the belief that the federal government should not have too much power over individual states. More that anything else, the North and the South disagreed about slavery. At one time, slavery existed in many Northern states. Over the years, steps had been taken to stop it. The abolitionists wanted slavery to end everywhere. 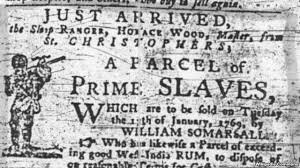 Even people who were not completely against slavery did not want it to spread to new territories or states. Many Northerners who were against slavery joined the Republican Party. They also blamed the Southern Democrats for the poor state of the economy in the late 1850s. The Republicans thought high tariffs, a homestead act, and other changes could bring back prosperity. Southerns were against these measures. They believed the rise of the Republicans would mean the end of slavery and the Southern way of life. 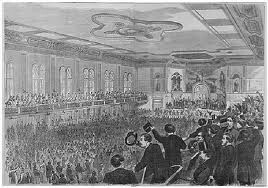 Some Southern leaders said the Southern states would secede, or withdraw, from the Union if the Republican won the presidential election of 1860. They believed that sovereignty (supreme power) belonged to the states. After Republican candidate Abraham Lincoln won the election, six Southern states voted to secede. 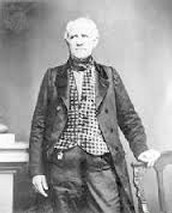 Many Texans wanted Governor Sam Houston to hold a convention to decide whether Texas also should secede. Governor Houston was against Texas seceding from the Union. He wouldn't call for a convention. Several Texans called a convention on their own, urging citizens to elect delegates. 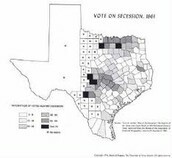 Many Texans who were against secession thought the convention was illegal and did not take part. As a result, most delegates chosen in the elections favored secession. Houston asked the legislature to declare the convention illegal. Instead, the legislature supported the convention. It said it could act for the people. 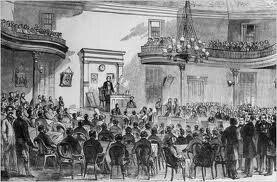 The Texas Secession Convention met in early 1861. It adopted the Ordinance of Secession. This ordinance, or local law, said that Texas was declaring its freedom from the United States. Then the people of Texas voted for secession. Texas became the seventh state to secede. 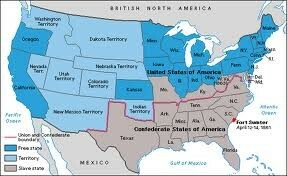 The states that withdrew from the Union met to form a new nation, the Confederate States of America. The Confederacy wrote a constitution. It was similar to the United States Constitution but had some important differences. The Confederate constitution gave states more power than the federal government and protected slavery. Jefferson Davis was elected president of the Confederacy. The Texas Secession Convention met again and approved the Confederate constitution. It also prepared the Texas Constitution of 1861. 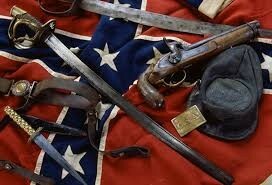 The Texas Secession Convention said all Texas officials had to state that they would be loyal to the Confederacy. Governor Houston refused to do this, so Lieutenant Governor Edward Clark became the new governor. 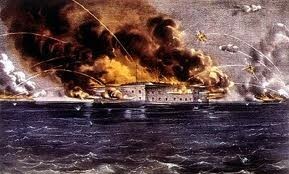 The United States government believed that the Southern states had broken the law when they seceded. Lincoln stated that the Union was perpetual, continuing forever. He said he would do anything necessary to keep the Southern states in the Union. 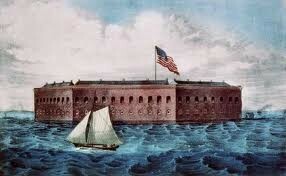 Early in 1861 the Confederate states began taking control of military buildings within their borders. 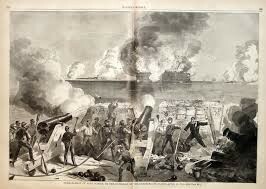 When U.S. troops refused to leave Fort Sumter in Charleston, South Carolina, Confederate soldiers began shooting.The attack on Fort Sumter marked the beginning of the Civil War.